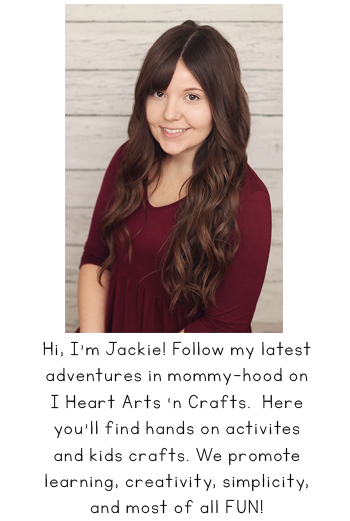 Last month I teamed up with some of my favorite kid bloggers to bring you our Soda Bottle challenge where I shared our Soda Bottle Lion. 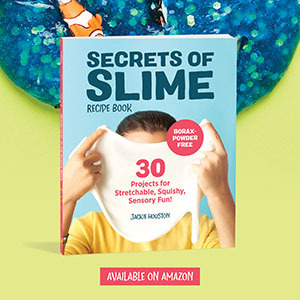 This month for the challenge we will be sharing Disney Inspired Crafts made with kitchen items! 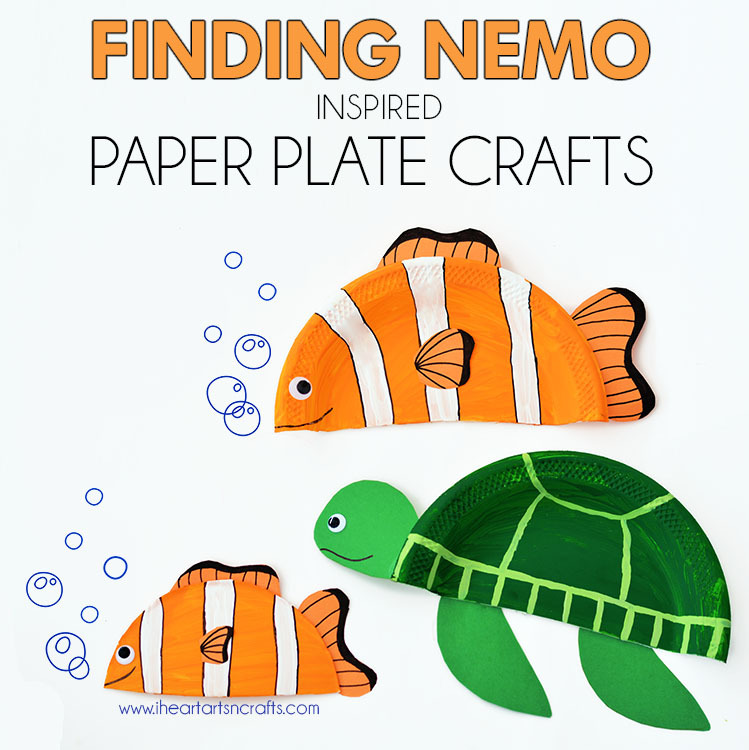 In December, I made Minnie Mouse from a paper plate, so because we LOVE our paper plate crafts we went with a Finding Nemo inspired paper plate craft for our challenge. 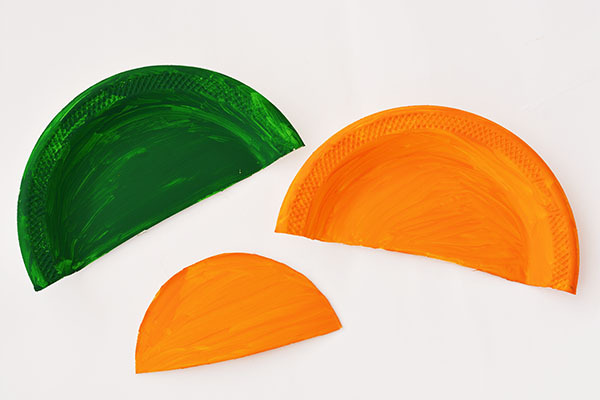 We had the older kids make the ones in the photo above and the younger ones used finger paints and mixed white and orange for Nemo on their plate and green for the turtle. First cut your paper plate in half. For Marlin you’ll use the whole half of the plate, but for Nemo I cut the trim of the plate off to make him a little smaller. Paint your turtle green and the fish orange. Once your paint is dried the next step will be the details. You can paint the white stripes on the fish and the light green stripes on the turtles shell. 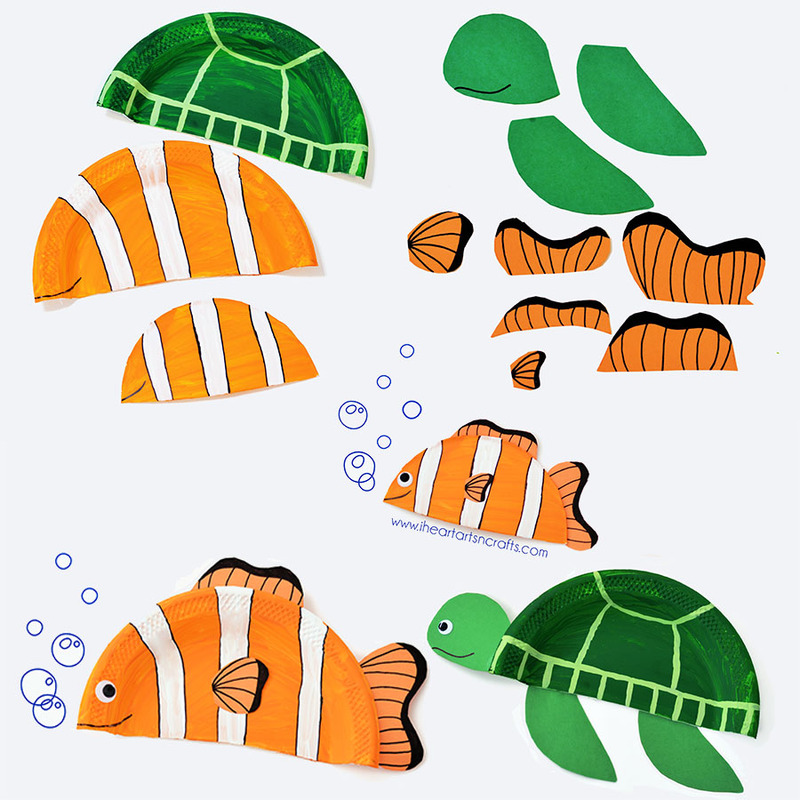 While those are drying you’ll take your construction paper and cut out the shapes for the fins and tail for the fish and the head, arm, and leg for the turtle. Using a black marker or paint draw on the detail of mouth and fins. For the finishing touches glue on the construction paper pieces to the body. And finally you’ll glue on the googly eyes! 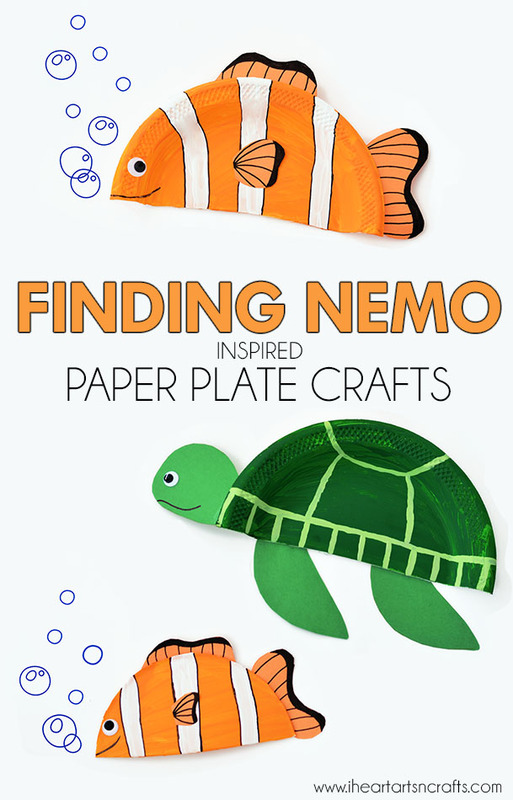 Check out more Disney inspired crafts!